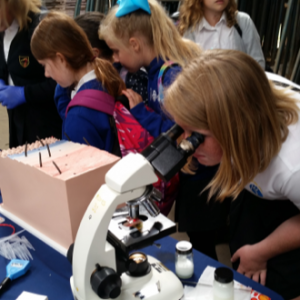 The festival’s flagship event lands in Hove for a whole weekend of hands-on science fun, with an exciting array of activities for children and their parents. 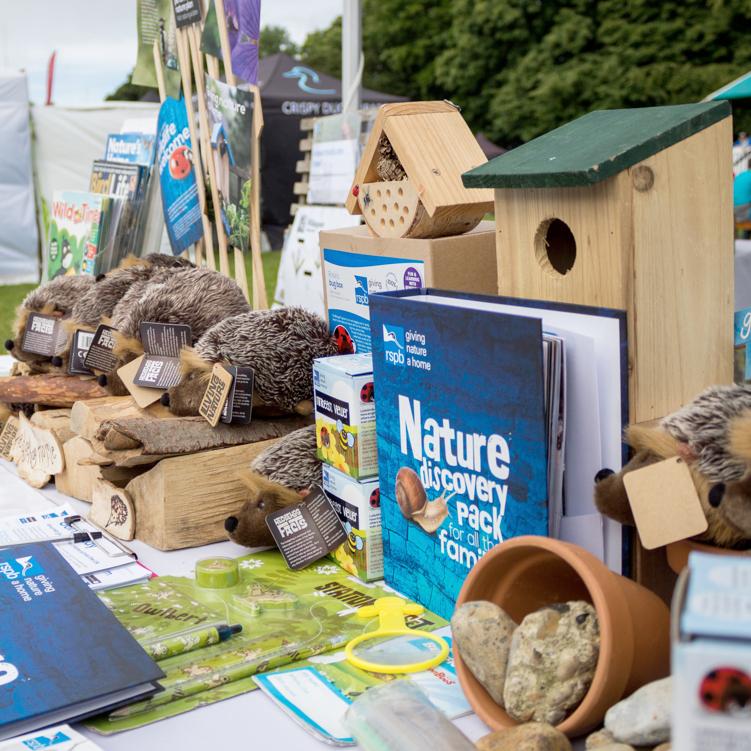 There will be over 50 stalls, stands and shows across the two days, with presenters and science communicators on hand to help you get involved and explain the hard bits. Even if you’ve been in the past it’s definitely worth coming back this year as there’s more new stuff than ever before. 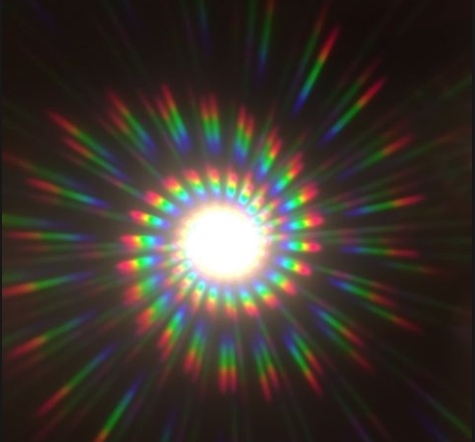 We’ve got ultrasound objects made of thin air, robots that react to light and telescopes that let you look at the sun. You’ll see earthworms and snakes, handle kitchen chemicals and hear scientific poetry. You’ll build brains, train snails and make Minecraft mods. You’ll have so much fun you won’t even realise you’re learning. Recommended age 7–14. Refreshments available to buy onsite. Listings vary between Saturday & Sunday and are subject to change. 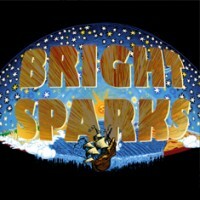 Take a look at BRIGHT SPARKS SUNDAY. 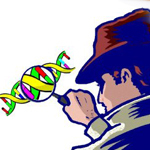 Help our scientists to isolate DNA from fruit and learn more about the instruction manual to life. But is everything that contains DNA alive? Investigate with experts by building your own virus to take home, but try to not cause an outbreak! 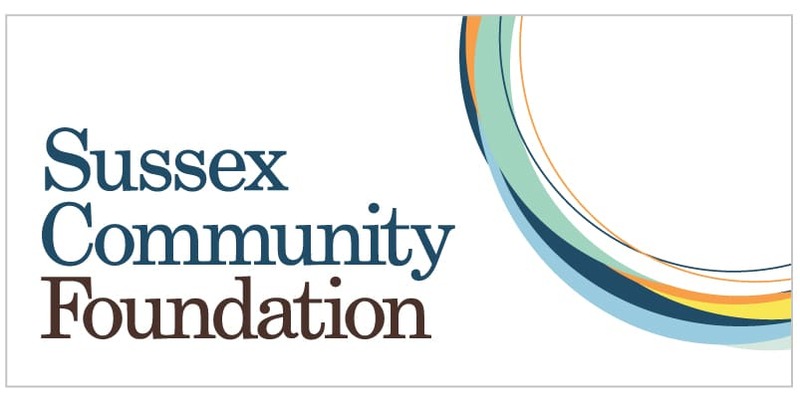 Run by the Biochemistry and Biomedicine Subject Group, School of Life Sciences, University of Sussex and sponsored by the Royal Society of Biology. Is Chemistry dull and boring? Not with this rainbow of a show! 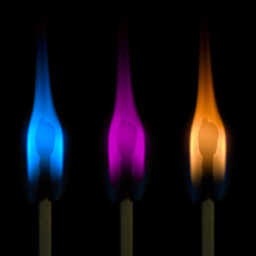 Join Dr Samantha Furfari as she takes you through the importance of colourful chemistry: from forensic science to everyday chemicals and metals to fireworks, this performance will have you exploring why colour is so important in science, and what uses we have put it to. Performances at 1.10pm, 2.10pm, 3.10pm and 4.10pm. What’s the largest snake in the world? How long is a chameleon’s tongue? How many legs does a millipede have? Learn the answers to these questions and handle some of these amazing creatures in a safe, fun and educational way with enthusiastic experts. More info. Height is a complex genetic trait, meaning it is influenced by multiple genetic variants working together. It’s easy to measure, so makes a relatively simple model for understanding traits produced by not one gene, but many. 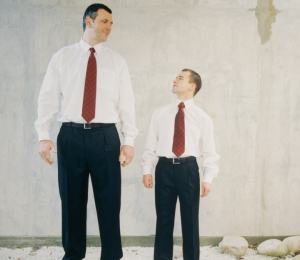 There are lots of genes and environmental effects that affect height. Come find out how! Can you curl your tongue? Are your ears detached? 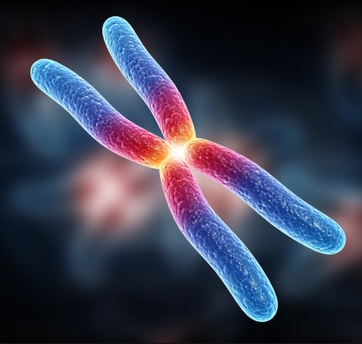 These are some of the genetic traits you will find out about and use to build your own chromosome. The eyes can play tricks on us, specially if we by peer through the world via an Ames Room. The notorious Ames Room looks normal, but it makes everyone in it to go weird… Actually the people are all right: it’s the room that’s weird. You will also learn about the inaccurate proportions of well-loved fictional characters from your favorite movies and how they would really look (and feel) in real life. Dirty Dopers: Cheating or Competing? Why are certain drugs are banned in sports? What’s the science behind how they work, their effects on the body and how they can be detected? 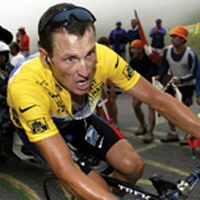 This hands-on experience involves a simple scientific investigation where scientists recruit the help of ‘doping detectives’ to determine which fictional athletes have committed the crime of doping by taking performance enhancing drugs. As we live longer, many will be suffering in some degree from Alzheimer’s disease. We will be discussing this with young people using a hands-on labyrinth game to get to grips with the difficulty of thinking straight when your brain is clogged with amyloid plaque. We don’t think any child is too young to be given answers, and we hope this will lead to greater understanding, greater respect, and less fear. More info. 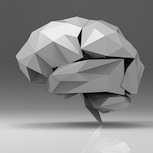 How does the brain work? 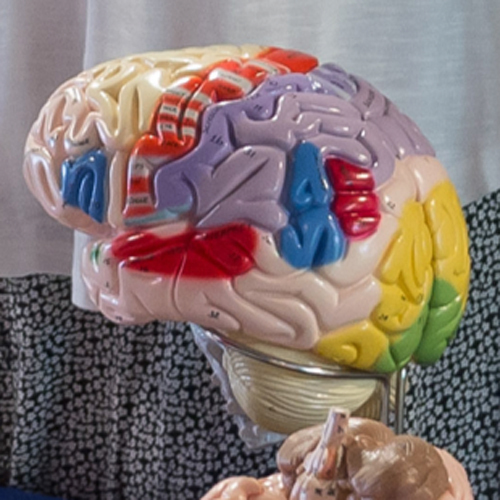 Find out how the invisible building blocks of the brain fit together by building your own brain you can wear on your head, string together bits of origami DNA, and use simple household items to create neurons. 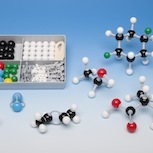 Design your own molecules – find out why water is V shaped, spot the difference between paracetamol and ibuprofen, and let your imagination run riot while building some of the most important chemical molecules there are. If you’ve ever want to make your own computer games, animations or websites, you’ll need to learn the basics of coding. Fortunately, Code Club is at hand, who will equip you with all you need to know to make computers do your bidding and eventually evolve into sentient robots and take over the world. Perhaps. In the space between land and sea, all sorts of creatures live. But it’s not easy being a shingle-dweller: only the toughest survive! 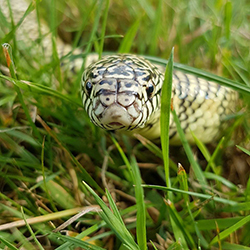 Meet some of the specialised animals that make Shoreham Beach their home, find out how to protect them, and how making our beaches litter-free helps marine wildlife. Have you ever been told you’ve got someone else’s nose? This isn’t about organ theft, but generic inheritance. 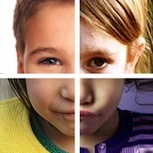 Find out how family resemblance is passed down through the generations by creating your own baby ‘reebops’ , plus start building your own cells and learn the differences between neurons, muscles and blood cells. With their funky, up-combed hair, Troll Dolls have been popular since the 1960s. 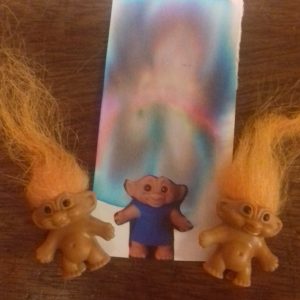 Come and learn about chromatography and colour while using filter paper and felt pens to create your own crazy 2D Troll Doll hairdo. 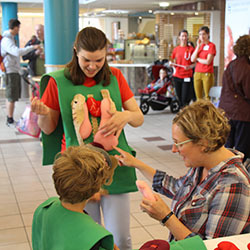 All about Organs Join medical school students in learning all about our organs, what they do and where we can find them in our bodies! Make a Microbe Learn all about what microbes (AKA germs) are and what they do whilst getting the chance to create your very own! Our favourite example of fantastic physics, demonstrating gravity, friction and momentum. Make one to take home. Prepare for verbal gymnastics as the legendary Rap ‘n’ Rhyme team take on the science syllabus with scintillating syllables and similes (and maybe some alliteration). Teacher and poet Kay Walton leads a group of young spoken word performers in a breathtaking display of lyrical dexterity. Performances at 10.30am and 11.45am. 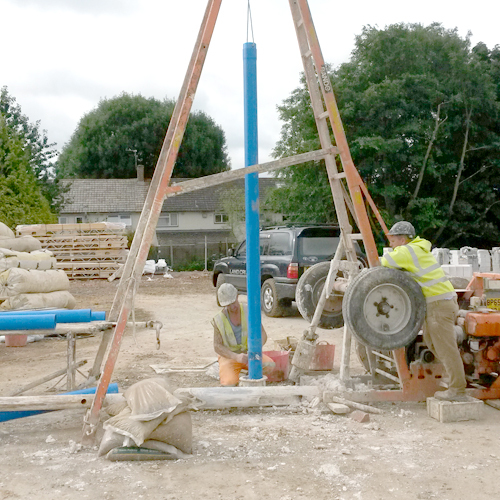 A big part of building a house involves checking the land it will sit on. 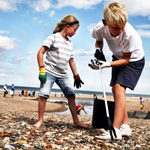 Leap Environmental give challenges to kids they wouldn’t try on adults: what if the ‘land’ is jelly? Or mud? Extreme examples like this are a great way to show what happens to houses when there is an earthquake. Ricardo, a leading global engineering consultancy, will provide a look into the challenges of engineering personal transportation and clean energy in the future. Will you be able to win the Kinergy Flywheel Challenge? How much energy can you store in our hybrid drive flywheel? What are the challenges to developing low carbon transport systems? What are the issues facing society and where do engineers of the future have a role in overcoming these challenges? Come and visit us for all these and more. Join the University of Sussex Pharmacy team to explore fantastic formulations and wellness checks; come and explore how medicines are made, get yourself a free health check by qualified pharmacists and learn to make pellets, gels and identify the emulsion type under the microscope. 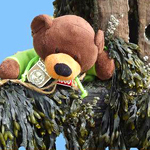 One World One Ocean charts the travels of Ed the Bear, as he learns about the ocean and marine life from real scientists. Join Ed as he comes face to face with sharks, meets penguins, dives on coral reefs and discovers deep-sea shipwrecks. Discover how we are damaging the ocean and why all life on earth depends on a healthy ocean. Drop-in, plus timed 30 minute microscope sessions at 12.30pm and 3.30pm. No booking required. 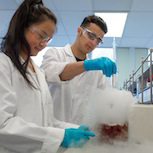 ‘It is the Supreme art of the teacher to awaken joy in creative expression and knowledge’ (Albert Einstein).Let the trainee Science teachers of Sussex University (in collaboration with Longhill School) inspire you with their simple experiments and creative activities. 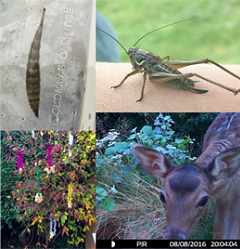 Learn about the wildlife in your garden and school grounds, how to look after what’s there, and how to encourage more to come. How can you help bees and other insects? Who visits the garden when you are asleep? Meet some furry, eight-legged friends. What’s a lichen like? We challenge you to a dual! 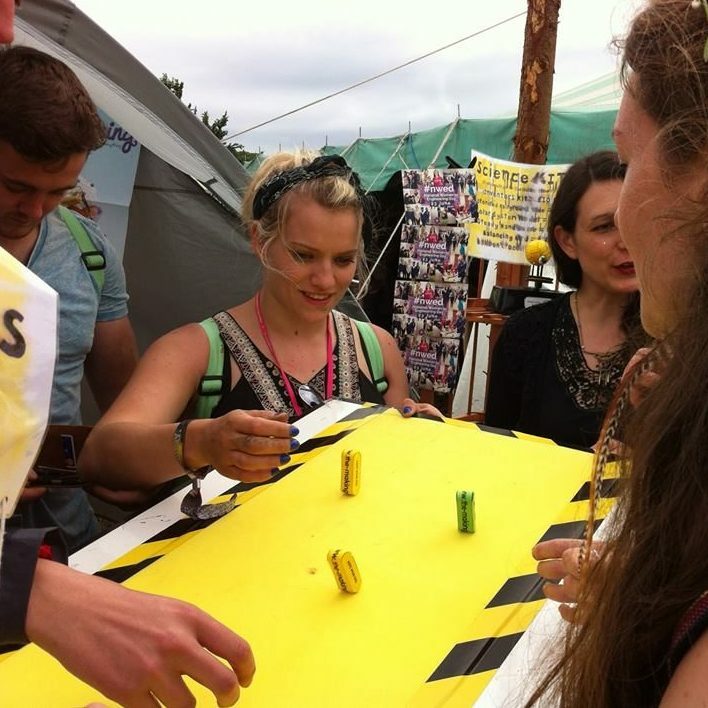 Whose brain can withstand the pressure and come out on top as we take a journey through the brain: move the ball using just thoughts, take control of someone’s arm and deceive the eyes on this interactive stand. From the lab to the chemists, we rely on a pharmacopeia of medicines to keep us well and cure disease. But how are new medicines discovered? 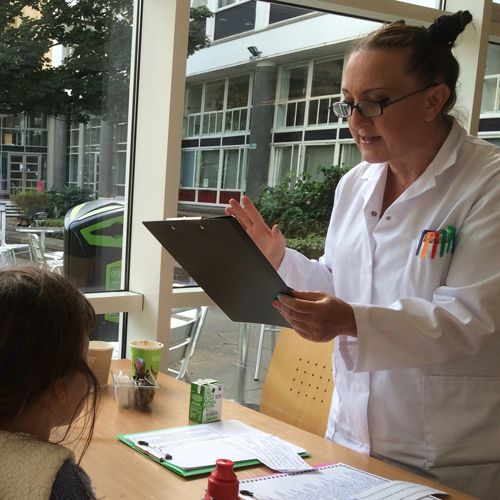 Become a medical researcher and test your lab skills by making your own tonics and tablets. From finding which part of the cell to treat to testing the results, see every stage on this drug discovery journey. More info. In a fusion of maths and mechanics, these giant drawing machines can create complex Lissajous patterns, giant-sized hands, or whip up a portrait of your friend in minature. Deceptively simple and gloriously complex at the same time – get drawing! Ever wondered what it’s like to be a computer programmer? Come and have a go at “coding” at one of our programming workshops where you can try a fun robot project using the micro:bit computer. We’ll also show you how we use programming in the real world to control industrial automation processes. From Eurotherm by Schneider Electric. More info. What’s scientific about shopping? The way we study it, for one thing! Researchers from LSE use behavioural science methods to investigate how young people learn about money. Play some games and help discover scientific ways to learn about shopping and spending. Cancer is not simple – and discussion of it is often riddled with misconceptions. 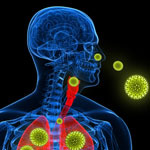 The Department of Oncology at the University of Oxford is out to demystify a disease that will affect half of us during our lives. Find out how cells spread and learn some of the science that will make tomorrow’s cancer medicine better than today’s. What Can Robots Tell Us about Animal Behaviour? 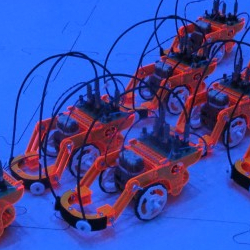 Robots face many of the same challenges animals do when it comes to getting around. But animals also tend to have had a bit more practice. Biologically inspired robots can teach us a lot about the world around us – mechanics mimic life in a series of challenging robot games. 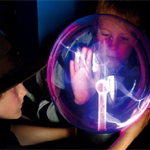 Come and be inspired by games, models and machines from Herstmonceux Observatory Science Centre. 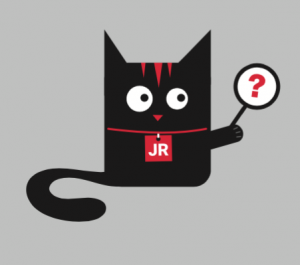 Some are simple, some are sophisticated – all are informative and fun. Plus special festival shop offers and some spectacular science busking. Put your engineering skills to the test in this bridge-building challenge. Armed only with paper and sticky tape, your mission is to build a bridge strong enough to withstand a weighty cargo of chocolate. Are you up for the challenge? Can you beat the test? Take the Stroop Test to explore how words influence what we see and discover how the brain handles mixed messages. Can you smell as well as a shark? Come and find out, test your sense of smell with very dilute perfume of varying concentrations and compare your sense of smell with that of a shark. Can you see what I see? Come and find out about your peripheral vision and find out how your eye sight compares with that of other animals. What is immunisation and how do vaccines protect our bodies against disease? Many people have questions about vaccines and don’t know where to find out the best up-to-date information. 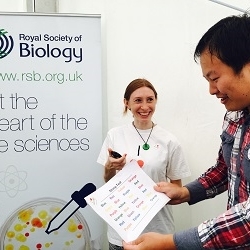 Join the British Society for Immunology to play our interactive games showing how the immune system and vaccines work and talk to our experts to get fact based information on immunisations. 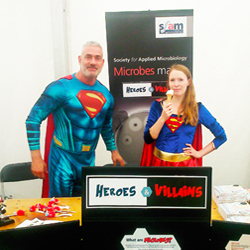 We all know there are plenty of bad germs out there, but what about the heroes of the microscopic world? Microbes are so tiny that they can’t be seen by the naked eye, but they can have an enormous impact on our lives. Heroes & Villains is a game that lets you sort the good microbes from the bad, learning the role they play in our lives, and how they can help or hinder us. Find out more about how microbes can make your bread, keep you healthy and help plants grow. Step into another dimension with augmented reality – come face to face with startlingly lifelike dinosaurs, or take a trip inside the human body and discover what makes you tick. City Books join us with their magnificent pop-up bookshop featuring a huge range of educational and creative books. Butterflies and other invertebrates are having a really tough time, with numbers across the UK in significant decline. Butterflies are a sign of a healthy ecosystem, and are a good indicator of how many other invertebrates might be around. Join us today to create an attractive butterfly feeder to encourage butterflies and other insects to your garden or windowsill, and you’ll be playing a part in Giving Nature a Home.